POLICE IN NORTHERN Ireland have arrested another man as part of the investigation into the murder of a known loyalist. Colin Horner, 35, was shot dead in front of his three-year-old son in the carpark of a shopping centre in Bangor, Co Down, last Sunday. 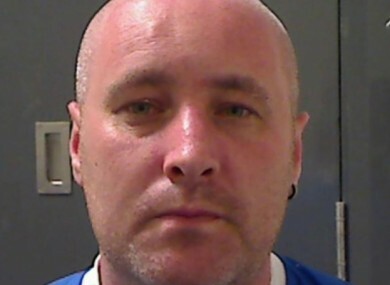 A 46-year-old man was arrested in the Bangor area last night and remains in police custody. Separately, a 28-year-old man appeared before Newtownards Magistrates Court yesterday charged with the murder. Alan Wilson was also charged with possession of a firearm and ammunition. Wilson, who has denied involvement in the murder, was refused bail. A 47-year-old man arrested in connection with the murder has been released unconditionally. Police have thanked the public for their help in the case and appealed for anyone with information to come forward. Detective Superintendent Kevin Geddes said: “I would like to thank the public who have contacted police with vital information in connection with this brutal and senseless killing and I would continue to appeal to people for their help as we carry out our investigations. I would ask anyone who has captured any footage at the scene either on devices or on dashcams to please get in touch. I would also like to hear from anyone who saw the vehicle Colin Horner was driving when he left his partner’s home in the Balloo Road area of Bangor around 2pm. It was a black Nissan Pulsar car, registration XFZ 4706, and it arrived in the Sainsbury’s car park around 2.30pm. I am keen to trace his movements during that 30-minute period. Comments are closed as a man has been charged. Email “Another man arrested in connection with 'brutal and senseless' murder of Colin Horner ”. Feedback on “Another man arrested in connection with 'brutal and senseless' murder of Colin Horner ”.